Fast audio-testing at your finger-tips. 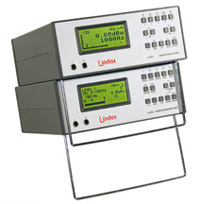 Renowned for quality and reliability, Lindos test sets can be used to test everything from lines and satellite links to speakers and computer sound-cards. Professional microphones and accessories for music recording to your DSLR camera, computer sound-card, iPad or iPhone.